I have long been a fan of Tilda fabrics but earlier this year when I first got my hands on "Harvest" I knew this collection was next level, hands down my favourite Tilda collection to date. Big call right - but just look at these divine fabrics and the colours of the prints are just amazing!! 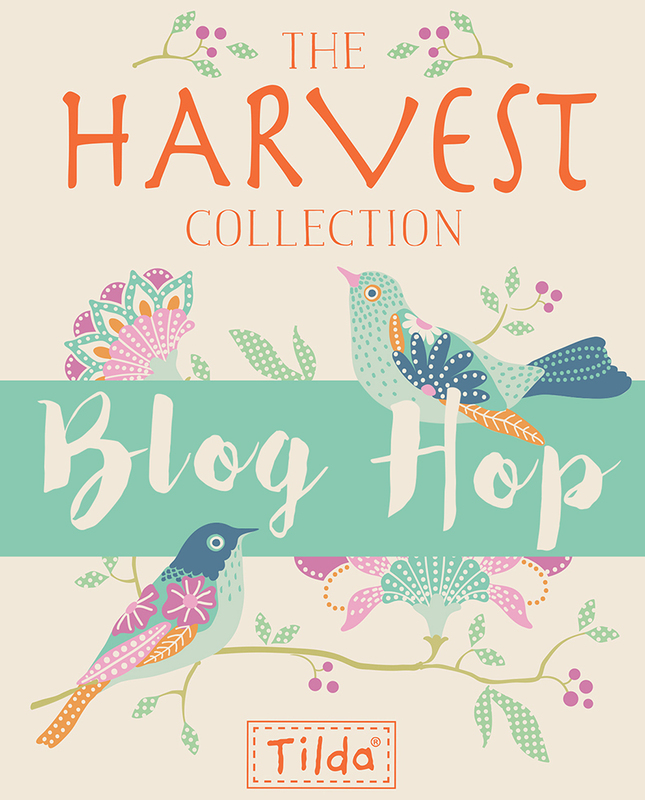 Harvest launches in stores here in Australia on August 1st (through 2 Green Zebras) and you bet you will want to add these prints to your stash without question. 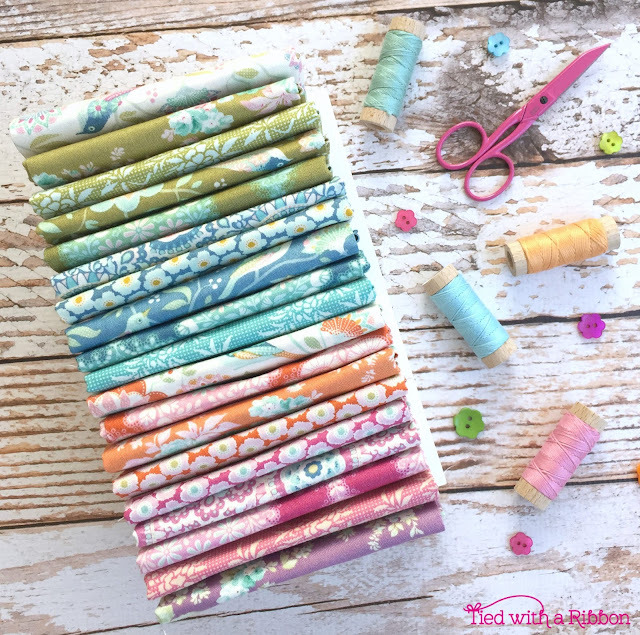 When my fabrics arrived I had been thinking a lot about my Nanna whom had been very influential on me with my love for sewing, baking and crafting. I spent hours with here when I was a young child making things, learning how to crochet, bake and sew. Even though she has long passed, she has been a main driver for my own Quilting and sewing today. 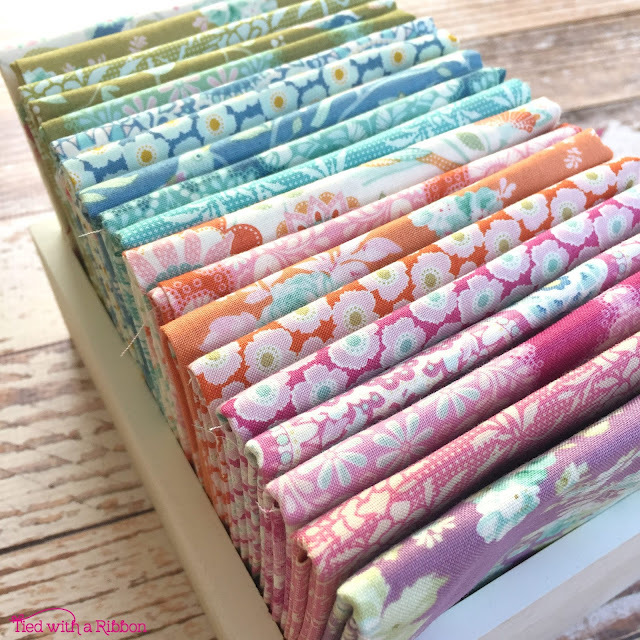 I am lucky to have many of the Needle turn and Cross Stitch Table cloths that she had made herself and these have always held a real special place in my heart. 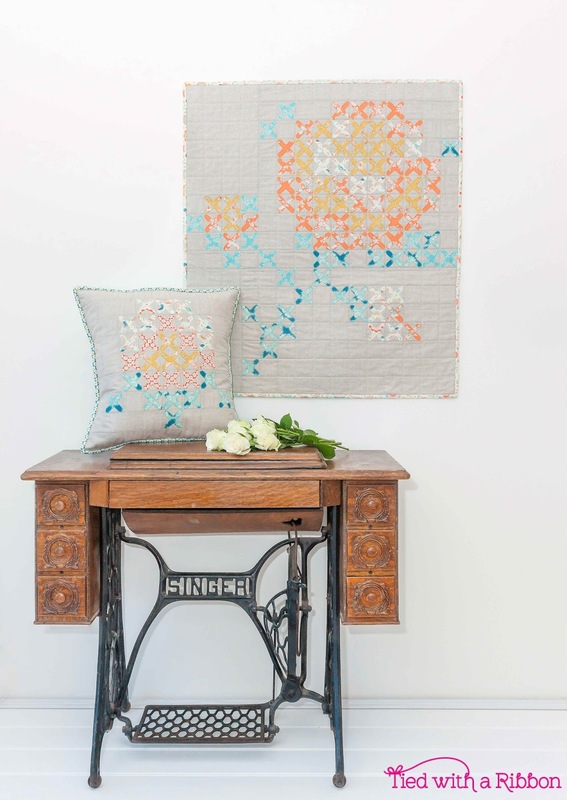 This really got me thinking as to how I could represent and honour her love for all things handmade into a modern interpretation of how I love to Quilt. I pulled out the Table cloths, some graph paper and my coloured pencils and set about recreating the designs of the cross stitch patterns onto paper thinking about how could I make these into a quilt. Then it was like Nan whispered in my ear and I immediately realised how I could combine my love for Applique and Quilting to design with these stunning fabrics. 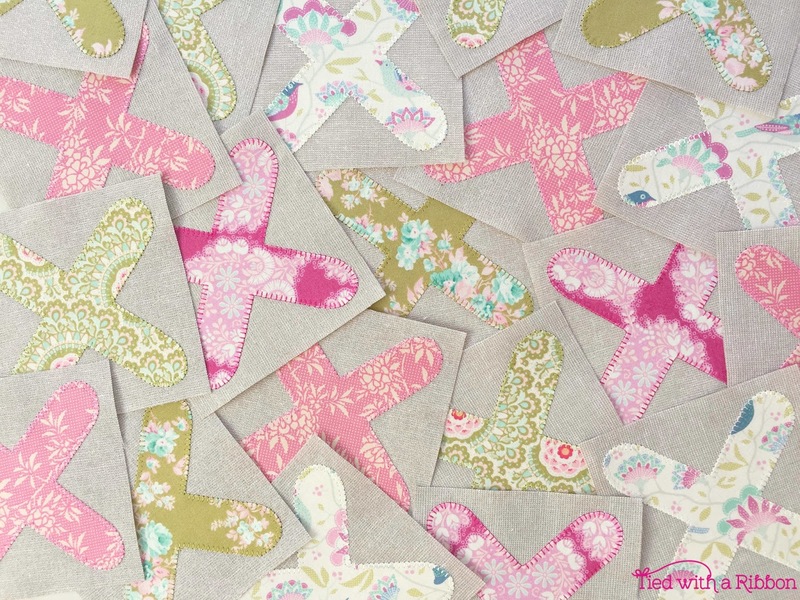 The colours and prints in this Harvest collection just make me sing - such pretty pinks against these teals and greens. And while I have never been much of an orange lover - these fabrics could certainly change my mind. 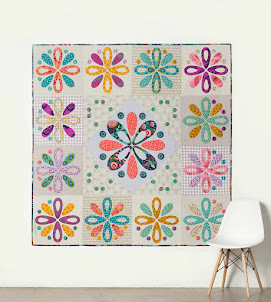 So I created this Applique Cross-Stitch quilt - using the shades from the prints to create the different colours of the petals and the leaves. The background fabric - Metallic Oyster Essex Linen is also unbelievably magical. 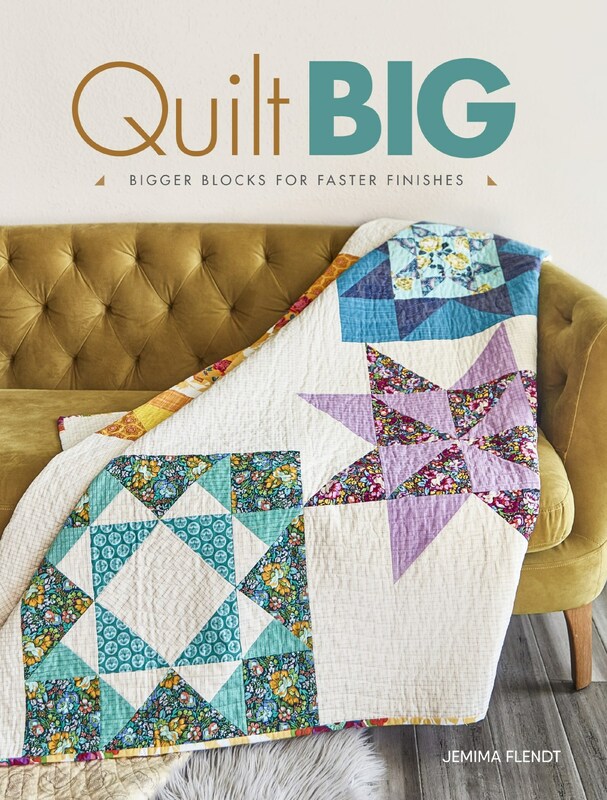 Having made this larger lap Size Quilt - I quickly wanted to make more in different sizes and worked then on sizing up a smaller version that would not be to difficult to Applique while smaller in size. 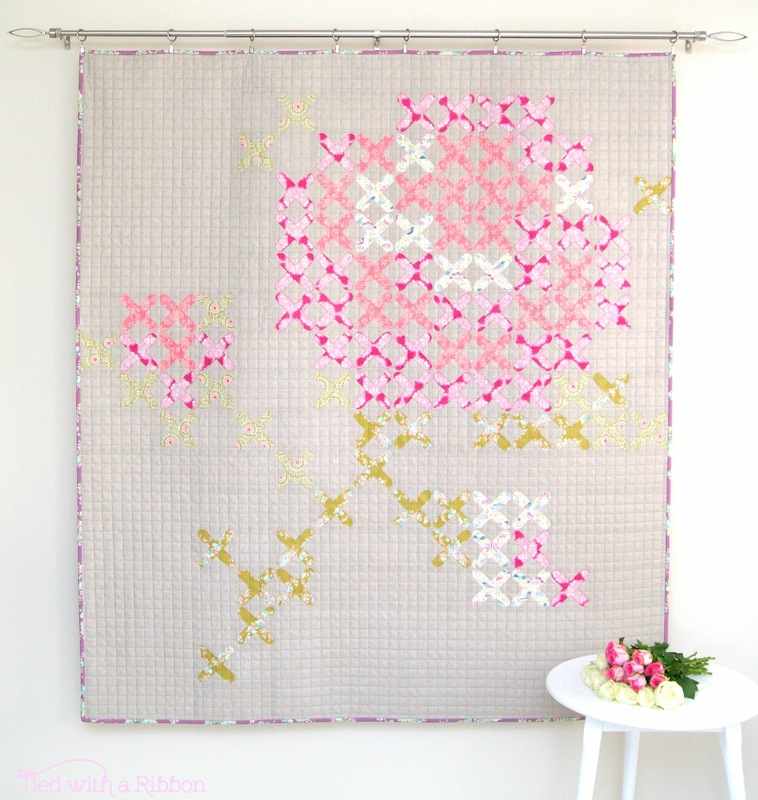 Once I worked out what size would still work - I set about making a Mini or Wall Hanging Size version of this pattern. 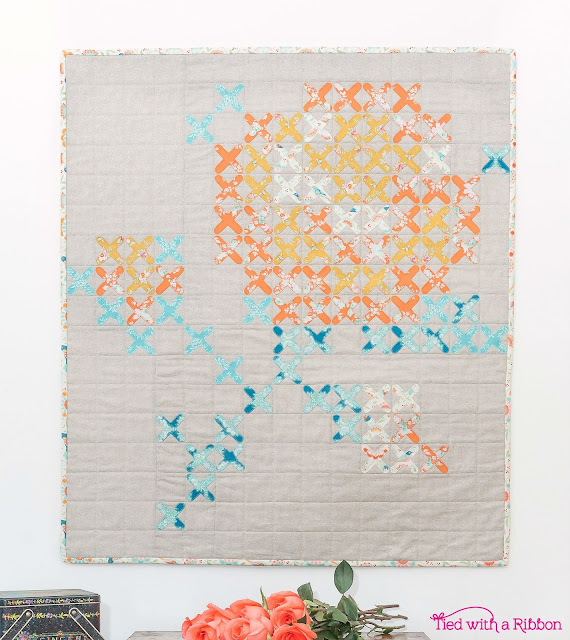 This time I pulled the Oranges, Creams and Teals from Harvest to create this project. And not being able to stop there, I went back to the Table cloths and drawings and decided that I wanted to make Pillows to co-ordinate. I have called the Quilt - Viv's Rose - after my Nanna and hope that this would have made her proud and as a tribute to how much a part of my journey now as an adult she still is. 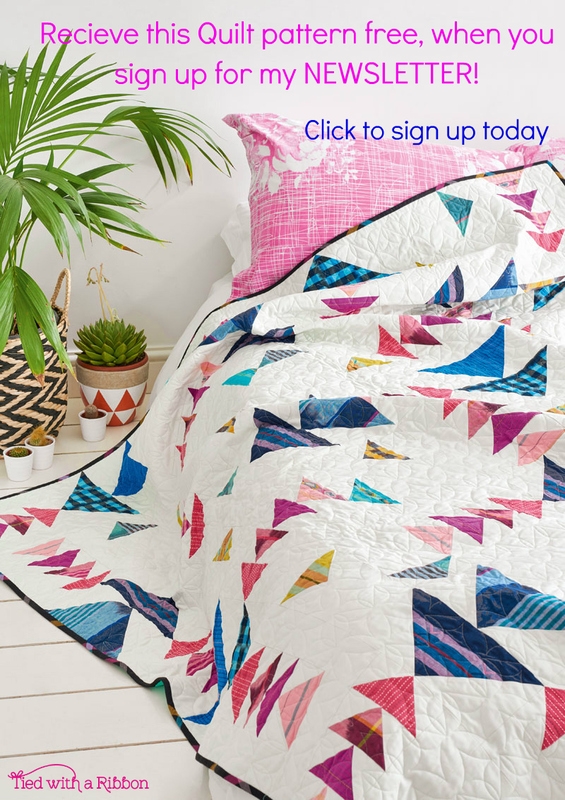 The pattern includes the Lap Quilt, Wall Hanging and 2 Pillow options with Layout Guides. Also Scan and Cut Friendly or you can make your Own Templates. Template sets are also available that Include the Applique Templates and Trim Tool for both sizes. 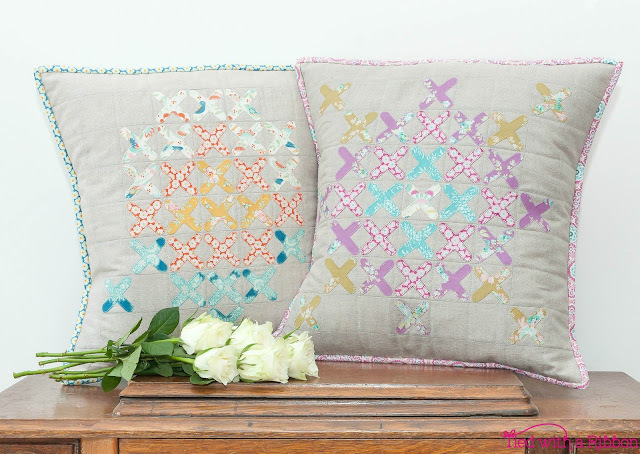 Tilda Harvest - well it truly is a stunning collection with saturated colours and the sweetest prints. If you have been a long time Tilda fan or this is the first time you have seen it - you will just adore it. 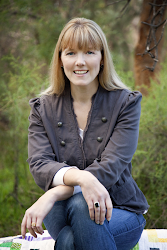 THANKS FOR SHARING IN THIS TILDA BLOG HOP! GREAT IDEA+DESIGN>LOVE IT! That's beautiful! Thank you for sharing your design process and your Nanna's influence.